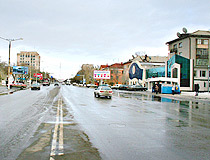 The capital city of Pavlodar oblast. 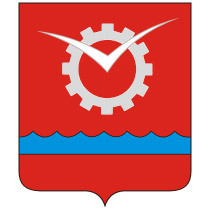 Pavlodar is a city and administrative center of Pavlodar oblast (region) of Kazakhstan, and a port on Irtysh River. There is also an airport in the city. 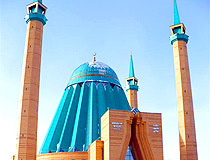 Pavlodar is a large industrial, economic and cultural center of Kazakhstan. In Pavlodar there are such plants as: metallurgic plants producing steel and seamless pipes, mostly for export, oil-processing plants, plant producing electrical, electronic and optical equipment as well as plants of processing industry. 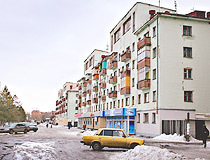 Pavlodar population - 321,000 (2009) on the land area of 638 sq. km. Pavlodar phone code - +7 7182; postal codes - 140000-140017. 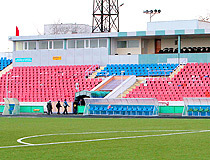 Local time in Pavlodar city is April 19, 4:21 pm (+6 UTC). 17 October, 2017 / Picturesque landscapes of Bayanaul mountains. 13 September, 2015 / Stone idols of Bayanaul National Park. 29 January, 2012 / Pavlodar sceneries - minus 40 degrees Celsius. 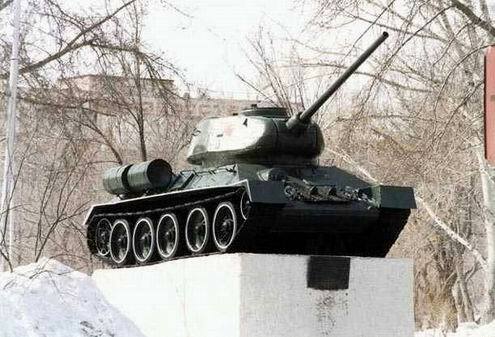 4 January, 2012 / New Year's salute in Pavlodar. 7 November, 2011 / Semipalatinsk nuclear test site - 20 years after the closure. 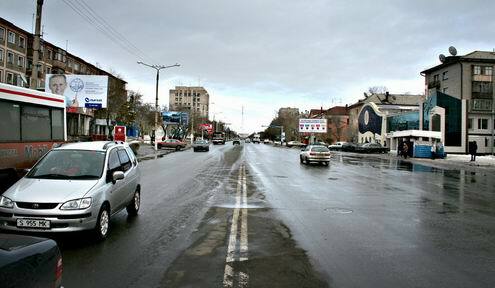 The climate of Pavlodar area is of moderate type, sharp continental one. Long severe winters with steady snow and hot summers with slow precipitation. The average temperature in July is 21,2 degs C above zero, in January - 17,9 degs C below zero. Since the mid-1960s, Pavlodar city has grown considerably to become a major industrial center, with tractor, aluminum, and chemical plants. 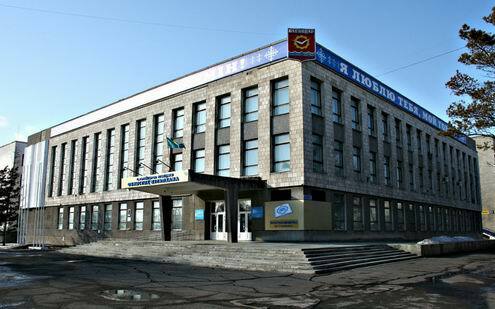 An oil refinery was completed in 1978 in Pavlodar. 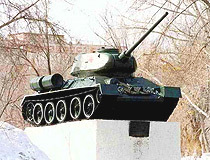 As the location of a major tank factory, Pavlodar city was closed to foreigners until 1992. 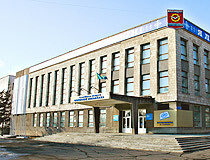 Pavlodar city has regular railway and bus connection with all the settlements in Pavlodar oblast, with regional centers of Kazakhstan and foreign cities (Russian Federation, China, Germany). There are regular flights around Kazakhstan and charter flights to Russia, Germany, Turkey, China and Arab Emirates. 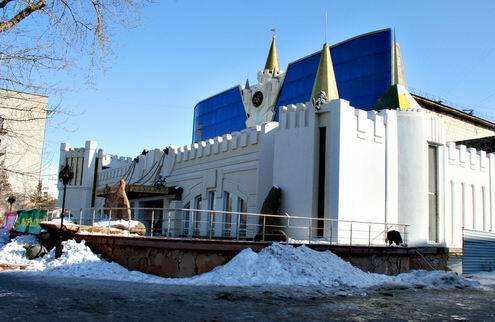 Pavlodar started its history in 1720, when an advanced post Koryakovsky was founded among other Russian fortresses and advanced posts on Irtysh River. 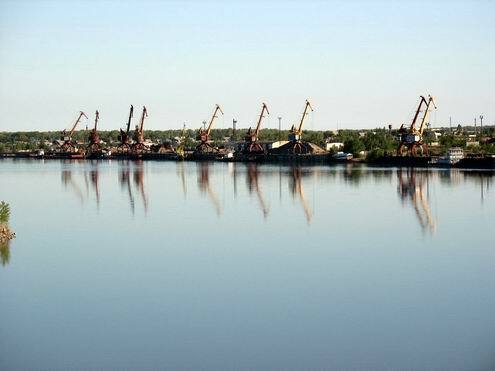 It was called Koryakovsky due to nearness of storehouses with salt extracted at Koryakovsky Lake. In the second half of 18th century Irtysh fortification lost its military importance. Fortresses and advanced posts turned into common settlements and stanitsas (large Cossack villages). 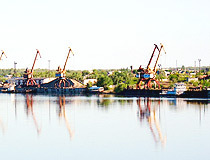 Koryakovsky advanced post became one of salt-extracting centers in Siberia region. 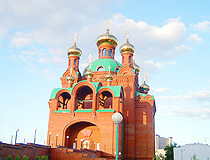 In 1838 it was reformed into stanitsa Koryakovskaya. Advantageous location of the stanitsa: on the bank of the large navigable river, close to areas where deposits of lead, copper and silver were worked, crossroads of trade ways with nomad steppes - all these facts were very advantageous for economic development of the settlement. 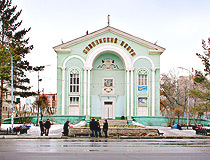 In 1861 Koryakov received the status of the town with the name Pavlodar, in honor of newborn Great Prince Pavel Alexandrovich. 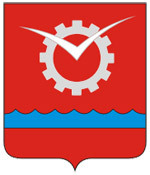 A little later the town became the district center in Semipalatinskaya oblast. General plan of the town building was adopted - there is its copy in the museum of the city. 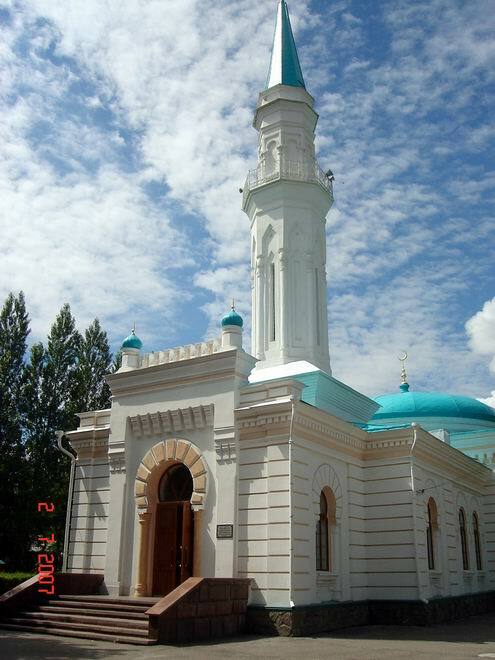 In the 30s of 20 century all the churches in Pavlodar and minaret on the mosque were destroyed. The decision to construct a grain harvester combine plant and an aluminum plant was a start for new powerful construction in Pavlodar city. 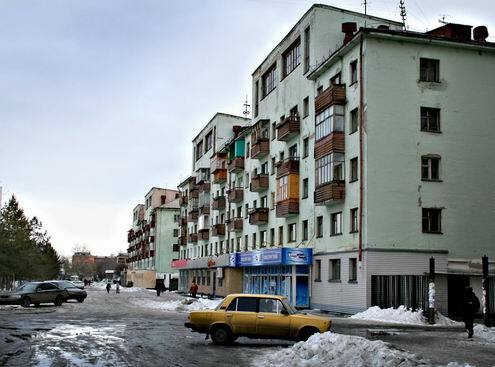 In early January 1955 first builders began arriving to Pavlodar. At the same time houses for future workers of plants were constructed. 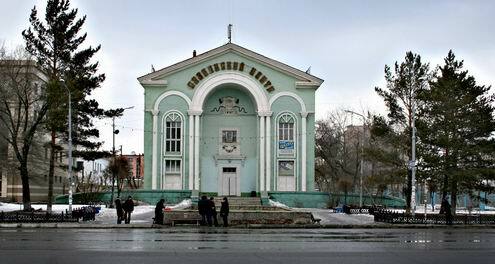 Since 1956 the population of Pavlodar began to grow intensely. 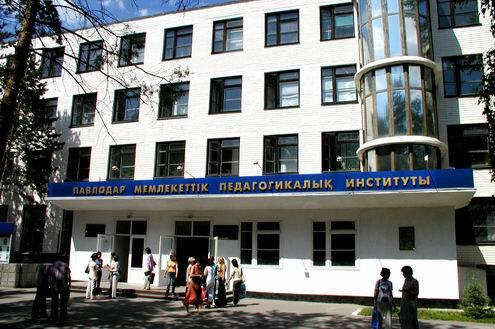 There are the following institutions of higher education in Pavlodar: Pavlodat State University named after S.Toraigyrov, Pavlodar State Teacher’s Training College, Innovational Euro-Asian University. 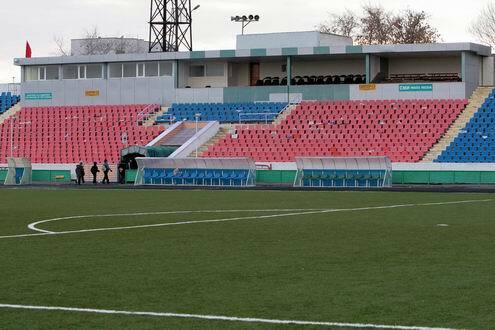 Soccer team “Irtysh” is the sports pride of Pavlodar city, it is fivefold champion of Kazakhstan. 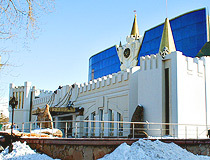 There are 2 theaters in the city - Kazakh regional theater of drama and music named after Zh.Aimautov, regional drama theater named after A.P.Chekhov; 5 museums - regional museum of local study named after G.N.Potanin, regional arts museum, regional museum of literature and arts named after Bukhar Zyrau, house-museum of P.Vasilyev. 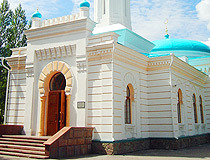 Modern outlook of Pavlodar is marked by traditional architectural style of Central mosque named after Mashkhur Zhusup and Annunciation cathedral. A lot of attention is paid to greenery. 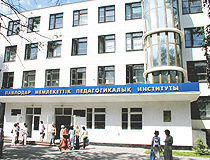 In the city there are 33 parks, 5 boulevards, well-planned Central embankment of Irtysh River. It is wonderful to see the achievements of the people. However, we forget at our peril the thousands who lie in unmarked graves dating from Stalin's time. I was born in Pavlodar Kazakhstan too! Hi, my name is Kirill. I too was adopted to USA about 11 years ago. I'm currently 22 years old. I would recommend for y'all to travel to my home country. I guarantee you will not regret it. One of these days, i will go back. I was born in Pavlodar Kazakhstan and I am currently fifteen years old. I was adopted about the age of two or three in an orphanage. I have only little information of my birth parents or the location of the orphanage itself. I am proud of who I am and where I was born. I am living in America today. 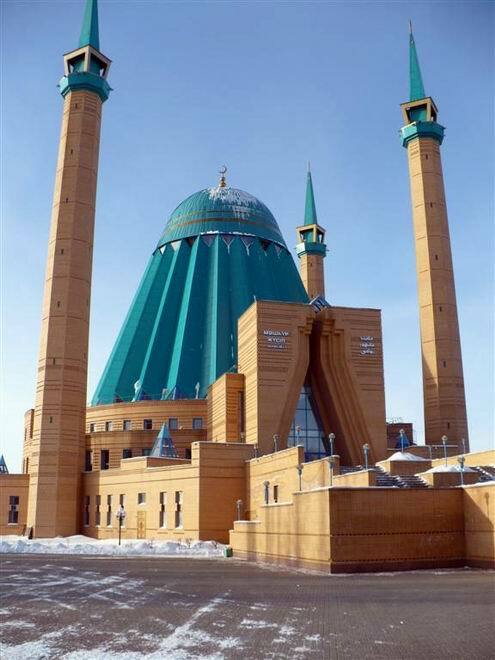 Although, in Kazakhstan, there is a different religion. I am christian to this day only because of being raised into my family's beliefs. Yet, I chose Christianity through my own feelings. Anyways, I am happy to be alive with a wonderful life. 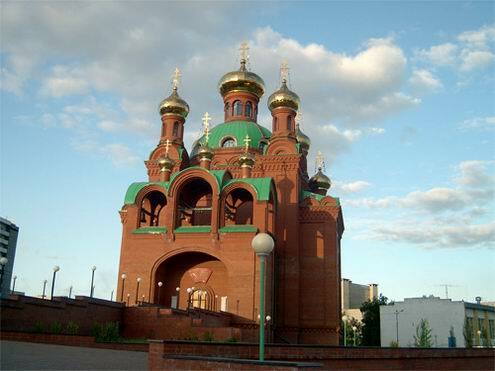 I plan to visit Pavlodar and maybe other parts of Kazakhstan as well. I also am planning to adopt a kid from Pavlodar and find my birth parents. I think my birthplace is just so unique in itself.